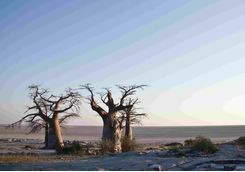 Witness the splendour of the Makgadikgadi Salt Pans, ride quad bikes across the desert, and sleep beneath a sea of stars. 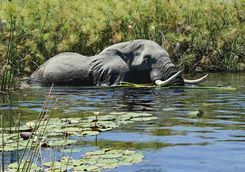 Finish in the Okavango Delta - a watery world with roaming elephants, birds and lions. 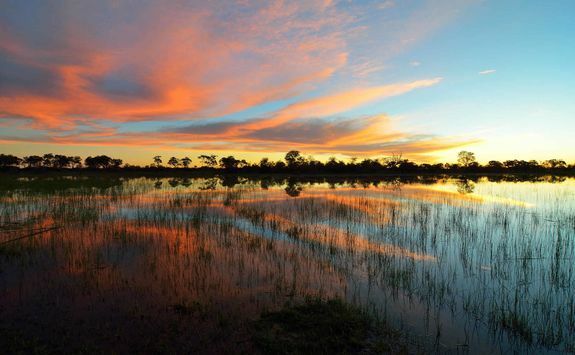 This off-road tour will show you a rarer side of Botswana, the last Eden on earth. 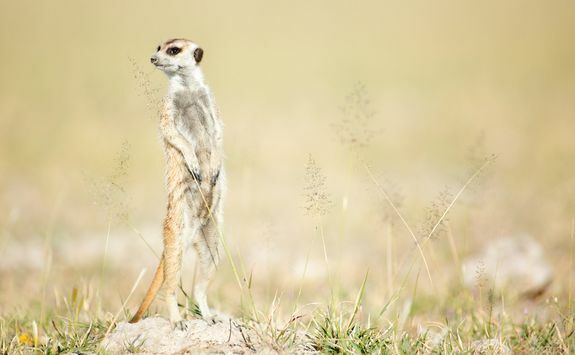 An overnight flight from London to Johannesburg is the perfect excuse for catching up on the latest box set. For those sensible enough to sleep on red-eye flights you can even get a good amount of shut eye. Touching down in Johannesburg early morning it's time to connect on to Maun, the onward flight taking roughly an hour-and-a-half. 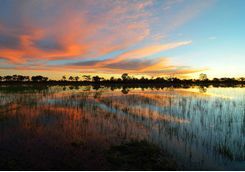 Welcome to Maun - the gateway to Botswana. 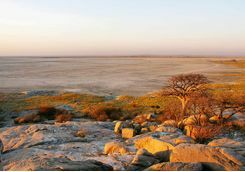 As you breeze through immigration, a light aircraft is waiting to whisk you to the dreamy salt pans of Makgadikgadi. 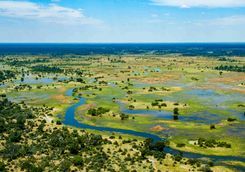 The exhilarating 50-minute flight will fly by as you admire the majestic sights of Botswana from above. 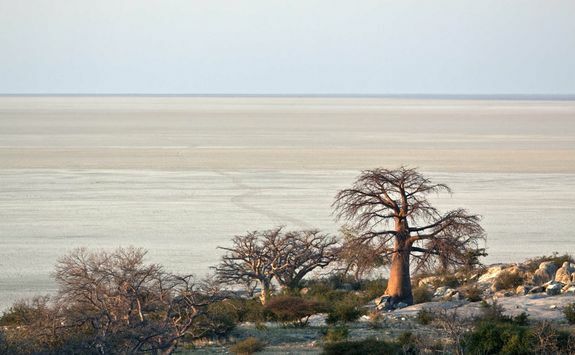 Arrive at Camp Kalahari, perched on the edge of the Makgadikgadi beneath prickly acacias and palms. 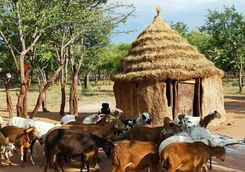 Drop your bags in your Meru tent at this traditional bush camp with a deliciously laid back vibe. 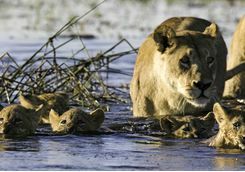 Four poster beds, en suite bathrooms with hot water and warm textiles bring a dose of sheer comfort to safari. Dive into the pool, enjoy a siesta, or catch sight of your first salty sunset before dinner. 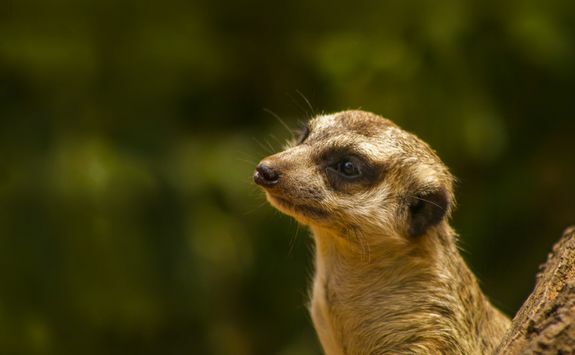 Start your morning by visiting the camp's resident meerkats. 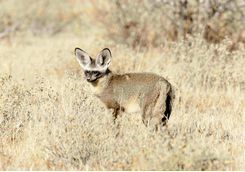 The camp offers a habitation programme for these fascinating little critters, so getting up close and personal is a breeze. 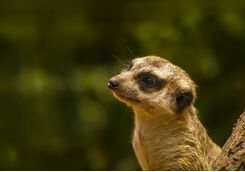 Meerkats are highly sociable animals and watching them interact with each other as you nibble on breakfast, and following their footsteps across the salt pans, offers a unique and utterly fascinating experience. 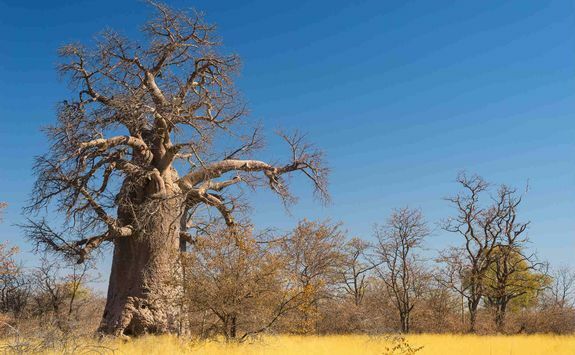 You will also have chance to see the site of the largest baobab tree in Africa and the campsites of intrepid explorers Livingstone and Selous. 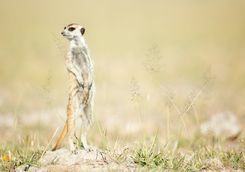 This afternoon you can go game watching to find some of the most interesting species in the Makgadikgadi. 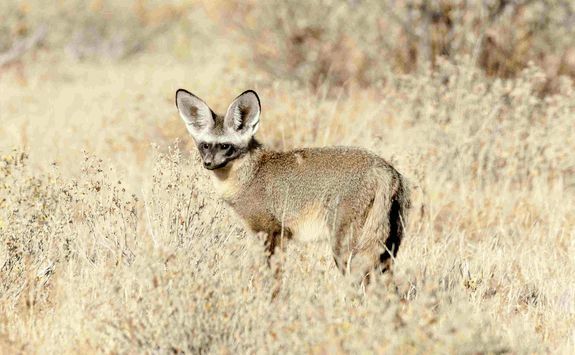 From elusive chattering brown hyenas to long-nosed aardvarks, bat-eared foxes, porcupines, and the midnight maned Kalahari lion. 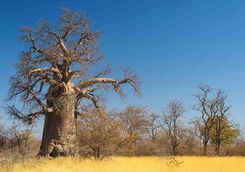 After breakfast wrap a kikoi (an African sarong) around your head and get ready to tear across the pans on your quad bike, as you head for your next camp at the Lost Island of Baobabs. Crossing the Ndwedwe Pan is a surreal experience; the salt pans are wide and vast and stripped of colour - throwing up mirages, curious ostriches, zebra skulls and dusty elephant tracks. 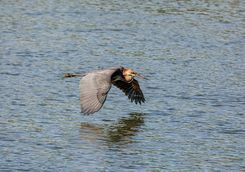 In the rising heat you can lose all sense of time and direction as the horizon melts into nothingness. Arriving at the Lost Island of Baobabs, this is your home for the next two nights. 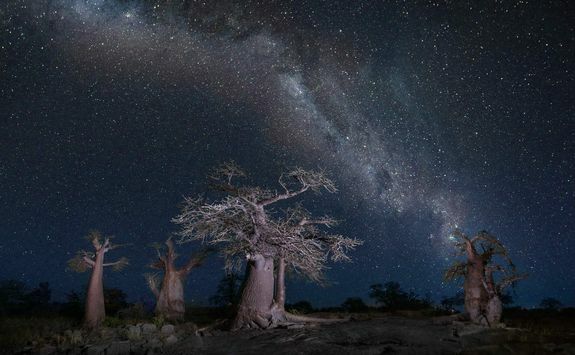 Tonight, you will sleep beneath a canopy of stars, you can snuggle up beneath a mountain of blankets and keep a look out for shooting stars. 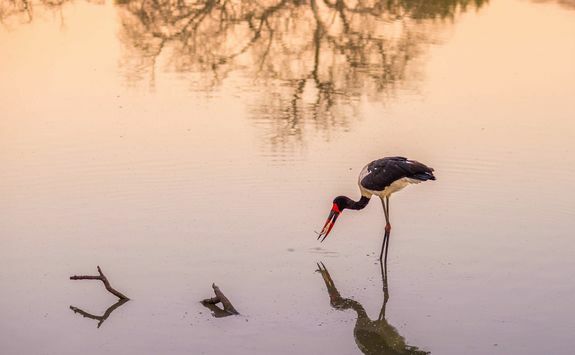 An early breakfast amid the salt pans is an evocative experience to savour. 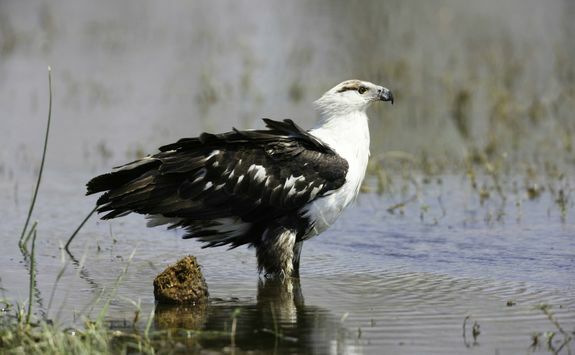 Afterwards you will head to Kubu Island - a sacred site in a sea of salt. 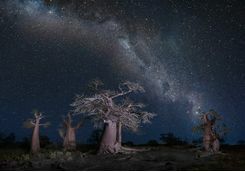 The ghostly rock is studded with baobab trees said to be older than Christ. 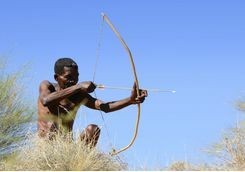 To the local bushman it's a place of great power. 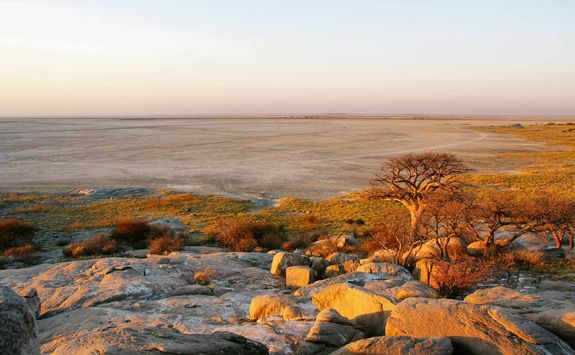 Climb to the top to gaze out at the stripped back world before taking a picnic lunch on the rosy boulders. 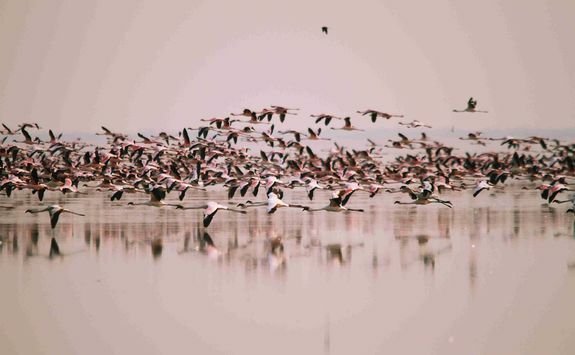 Close by you can visit one of the largest breeding grounds for flamingos in the world. 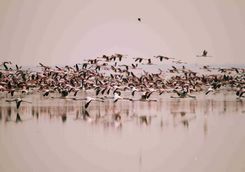 Over thirty thousand flamingos flood these parched shores. Unhatched eggs crackle in the sun and the petrified remains of chicks that didn't make it scatter the desolate land. This evening, you will sleep out under the stars again. 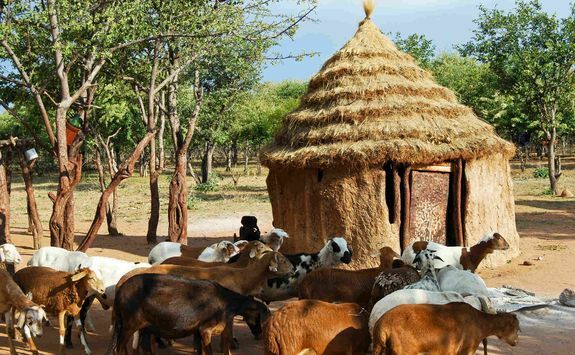 Botswana is a place of glorious cultures, and today you have the chance to immerse yourself in the Zu'hoasi culture of the Western Kalahari bushpeople. 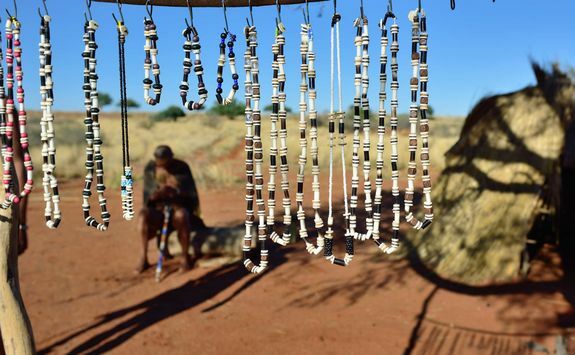 Spend the day with four generations of the Zu'hoasi learning all about how they manage to navigate life in such a hostile and extreme environment. 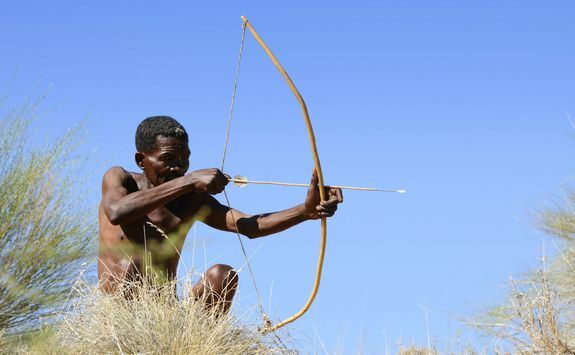 From hunter gathering to weapon making and jewelry weaving - this is a fascinating glimpse into a lesser known world, and one essentially unchanged in thousands of years, set deep in the Kalahari Desert. 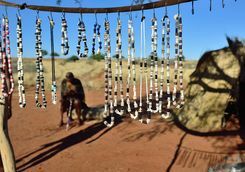 Drive through the bush, meet with the elders and walk with the people as they share their stories with you. 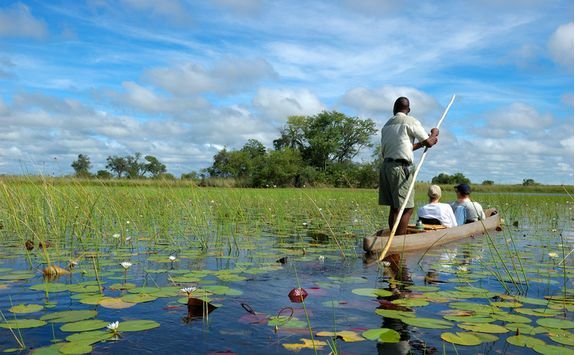 After one final lunch, its time to take a short domestic flight to the Okavango Delta before transferring to your camp for the next couple of days. 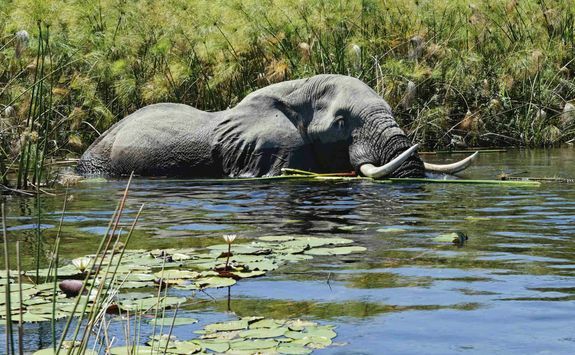 Wake up in the aquatic wonderland of the Okavango Delta. This is a place of wild and unfettered treasures - a chance to navigate secret channels and swaying grasslands, and to witness the drama of elephants, lions, buffalos, and more. 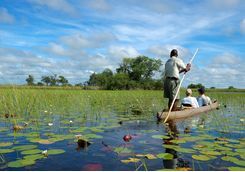 There is nothing more spectacular that taking a mokoro dugout canoe and being punted by your expert guide through a labyrinth of waterways; perhaps you will turn a corner and see a crowd of elephants bathing in the cool pools. 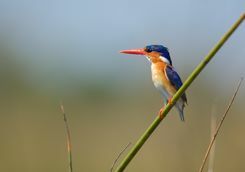 Beneath the surface hippos wallow, and kingfishers swoop low to catch their breakfast. 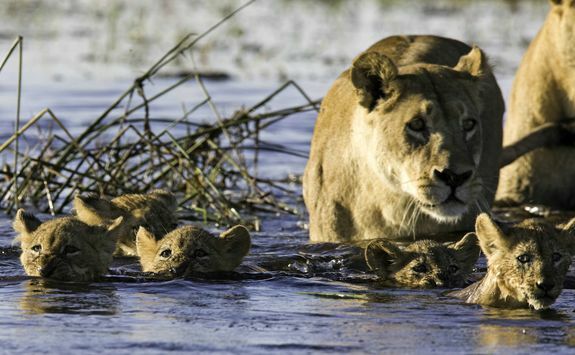 Lions wander in from the western edge of the Moremi Game Reserve and bushwalks with your local guide are also possible. 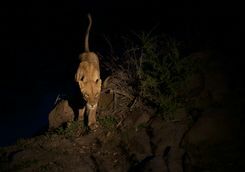 Your second day in the Delta sees you start early so you have the chance to catch the nocturnal predators returning before the first light of day. 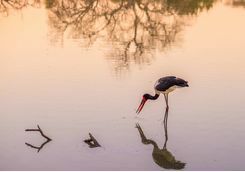 Pre-dawn game drives will not only showcase a different side to the wild but give you the chance to see the sunrise transform the moody palette of dark waters into a shimmering sight. 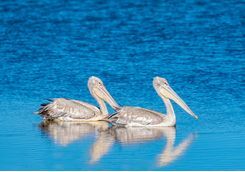 This afternoon you can choose to go out on a bush walk, take a motorboat cruise or even opt for a spot of Delta fishing if the water levels are right. As night settles in, take a spotlight game drive, a chance to see moonlight prowlers. 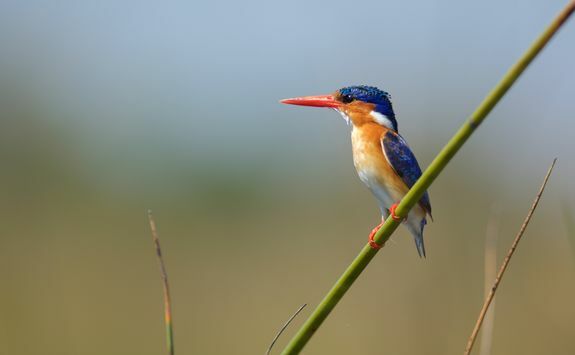 Bird lovers will be in paradise as they explore the delights of the Okavango Delta. 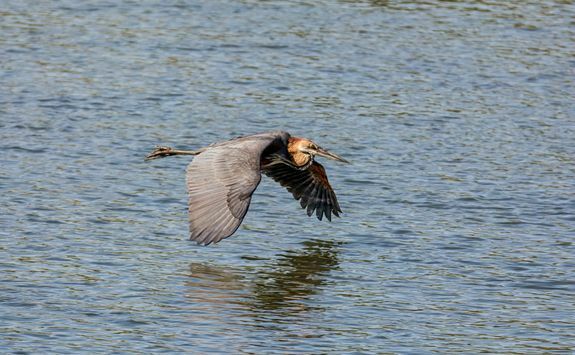 Be sure to visit the Heronry, hailed as one of the most important breeding sights in the whole of South Africa. 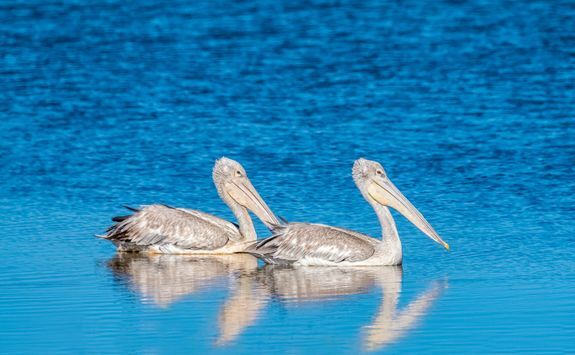 From flushed pink-backed pelicans to white egrets, herons, marabou storks, fish eagles, and malachite kingfishers, these shores are awash with brightly feathered birds. After a leisurely breakfast in the bush its time to depart to the airstrip for a short flight to Maun. 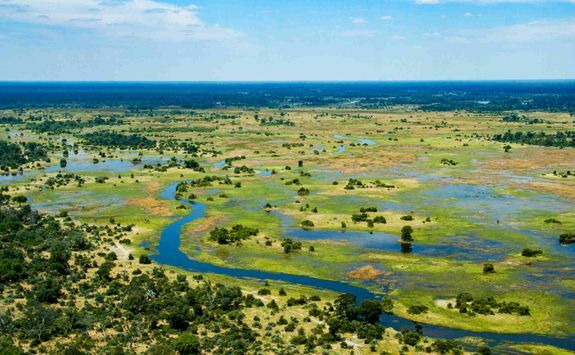 On this swift 50-minute flight you will have the chance to eyeball the beautiful Okavango Delta from above. 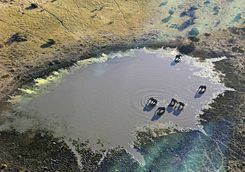 The verdant landscape intersected by highways of water and the shadows of great herds beneath makes for an unforgettable sight. 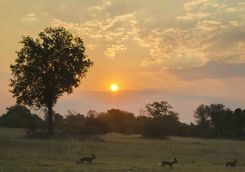 From Maun an hour-and-a-half flight takes you to Johannesburg for your connection back to London. 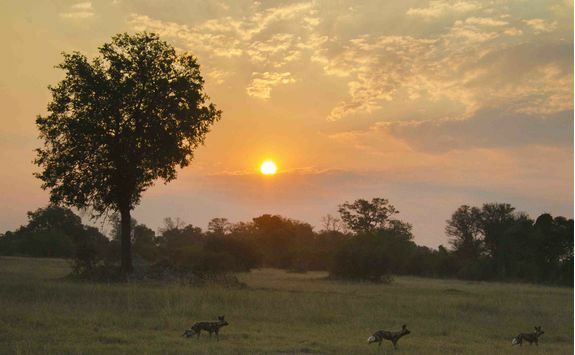 It's an 11-hour overnight flight which means plenty of time to kick back with a drink in hand and dream of your time in the otherworldly and amazing Botswana. Arrive back into London in the early morning.